Fantasyland. Roto’s second best book. It is an axiom that there is nothing more boring than hearing about someone else’s fantasy baseball team. Unless it’s their fantasy football team. Most of us figure this out pretty quickly, and those of us who don’t most likely live alone. Sam Walker doesn’t live alone, but when this Wall Street Journal sports columnist committed himself to winning Tout Wars his first season playing fantasy baseball he clearly knew that he wasn’t the story. Not all of it, anyway. Which is why his book is such a hoot. Rather than adopt the solitary lifestyle of the typical fanatic Walker uses his baseball credentials and ample payroll (he spent close to $50K during his year of play trying to win Tout Wars AL 2004) to rub the fantasy game against the real game. And while he says that he hoped to use the sparks that flew to beat the so-called experts at their own game, his real subject here is the fire of baseball’s essence. Is the game the domain of the grizzled scouts, the usually less-than-introspective ballplayers, the front office guys, the most diehard of fans, the usually less-than-introspective sabermetricians, or who? Walker has ingeniously woven the stories of all these unusually focussed people into one season in Tout Wars, during which he hired Sig Mehdal as his stat guy (Sig went on to contribute his injury database work to the Bill James Handbook, but that was later), and Nando, another fine fellow as his player biography expert, an astrologer (who perhaps he didn’t listen to closely enough), an exotic dancer (to mess with geeky minds during the Tout Wars auction) and a host of fantasy services, all with the aim of gaining a decisive edge. But if that sounds like rotopass.com or the story of a guy’s fantasy team, don’t be misled. Walker crisscrosses the country, meeting fantasy experts, his opponents (often the same guys) and many of the players he rosters and gets their reactions to his team, his proposed and executed trades (I’ve long enjoyed David Ortiz stories, but Ortiz’s response to Walker asking if he would mind being traded for Alfonzo Soriano is indelible), their feelings about what sabermetricians say about the way they play, and his attemptsâ€”as his season careers out of controlâ€”to get managers and general managers to take advantage of the special information he has gleaned from watching the game so closely (and listening to his advisors), but all of this is informed by his larger themes and not the question of whether his team will win or not. Walker is a fine observer, a funny writer, and a good sport. His attempts to get Jose Guillen reinstated by the Angels late in 2004 because it would be more fair to his roto team is a clever bit of street theater that I suspect is much more successful in the telling than it was on the street. It also makes Mike Scioscia look good at exactly the moment he might have looked his worst. 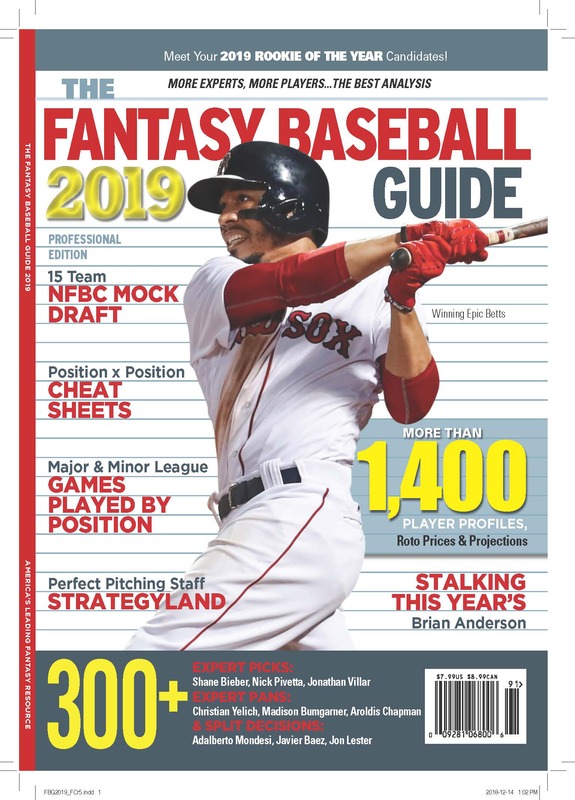 Walker’s book shines in his conversations with Jacque Jones, Doug Mientkiewicz, Bill Mueller, and other players, general managers and fantasy experts. Above all this is a baseball book. It is while he with the first group that Walker shows us something new about the game, but he comes to feel quite comfortable with the so-called experts, and it is his profiles of these guys that are most impressive (because I know many of them I can vouch for his good eye) and risky. I enjoyed them immensely, but it is always interesting to read about people you know. Will the general reader? I suspect those who take BaseballHQ or Rotowire or Baseball Info Solutions or Wise Guy Baseball or Stats Inc or Matt Berry or even Baseball Prospectus (at least Joe Sheehan) seriously will get a kick out of this book above and beyond all the fun baseball info (on a theoretical level, Walker doesn’t break new ground, nor does he try to). But the baseball stuff, the players and those who select them, and Walker’s lively storytelling will carry those who don’t give a hoot about Ron Shandler and Bill James and Keith Law and Mike Gimble and Dan Okrent and the other geeks whose stories he tells, through a gentle and appealling baseball book that pokes and prods our understanding of what the game is and how it works. For my part, I was a founding member of Tout Wars. My friend and sometimes partner Alex Patton named the league, though I still like (given our roots in rejection of LABR) my alternative name: REBL (Rotisserie Experts Baseball League). And I would have loved to have someone like Sam Walker pick apart my game play the way he does that of Trace Wood (who won TW the year Sam writes about) and the other guys he played against that year. I had the pleasure of getting Sam to write for The Fantasy Baseball Guide 2006, not knowing that he had a four month old in the house, but reading his book I wish I played in the AL Tout Wars that year rather than the NL. But that’s vanity. 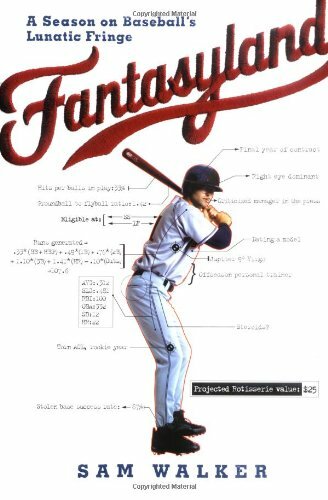 This may be the most fun book you can can read about fantasy baseball that isn’t really devoted to helping you win. And, unlike the Universal Baseball Association, Henry J. Waugh, Proprietor, by Robert Coover, which Walker doesn’t mention, it might actually help you win anyway. An excerpt from Dayn Perry’s new book Winners: How Good Baseball Teams Became Great Ones (and it’s not the way you think) does a nice job recounting the events leading up to the Braves’ amazing and ongoing run. Frank Wilkinson is the hero of Ry Cooder’s amazing 2005 album Chavez Ravine , but this obit tells of a long life lived in pursuit of an oddly elusive ideal. The baseball stadium in LA was a small part of his life, but he was important part of the ballpark’s (and baseball’s) history.